It’s easy to go negative. To quote Anton Ego from Ratatouille, critics “thrive on negative criticism, which is fun to write and to read.” That’s why much of the internet is baseless bile spouted from every nook and cranny. It can make people laugh, hoot and holler, and for those writing a scathing assessment, it can deliver a feeling of power over people or entities larger than themselves. DC Comics has been on the receiving end of that for some time now. 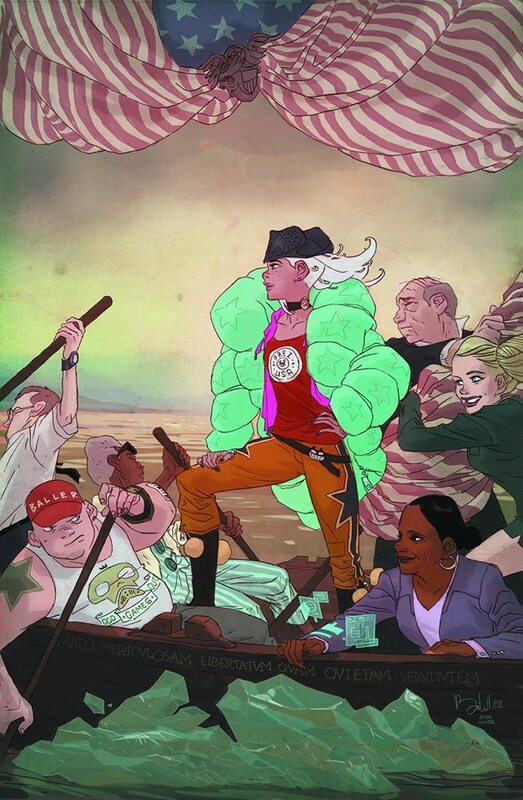 Whether its check-ins to see if they’ve done something stupid today or a litany of burns about this move or that, the comics internet has had their eye on the publishing giant for a while. Often, it’s deserved. I’ve written my own pieces analyzing and criticizing their decisions. While I’ve always had evidence to support my stances, I’m complicit in pinning them with their troubles. I wouldn’t take any of it back either, as DC Comics? They’re guilty of an array of self-defeating, hard-to-defend decisions in recent years. But just because we enjoy the negative doesn’t mean we shouldn’t celebrate the positive. And DC’s roll-out of its Rebirth plan this past Thursday at ComicsPro and on Comic Book Resources was a very good thing. What does it entail, though? DC Comics announced that they were going to make sprawling changes to their line, and it all starts with one title. 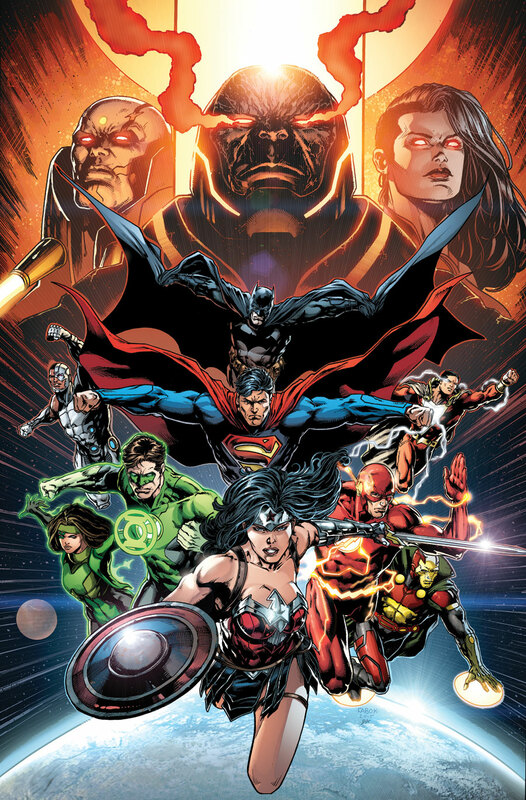 DC Universe Rebirth, an 80-page giant written by Geoff Johns with art by Ivan Reis, Ethan Van Sciver, Gary Frank and Phil Jimenez, is set to arrive in May, and it is the first domino in a deluge of changes. From there, they’re moving Action Comics and Detective Comics back to their old numbering, resetting the dial to #1 for the remaining (and bevy of new) titles, decreasing their total titles, embracing double-shipping on nearly half their line, reducing the cost of their comics to $2.99, and emphasizing the universe and legacy that once made the line special. So the changes are significant. As we are apt to do, hot takes were fired in the following days about the weaker aspects of the plan. They weren’t all negative, of course, but many were. And they were built around two key complaints: too many double-shipped titles in the line and no creative teams as part of the announcement. Both are true. Half the line is double-shipping and save for the 80-page giant, we have no idea who is doing what on which book. And we won’t until next month’s Wondercon. Both are understandable complaints, and ones I mentioned on Twitter. There’s an old saying that fits this situation well, though, and it’s “don’t let perfect be the enemy of good.” If what we are judging DC Comics by is some utopian comic system, then sure, they dropped the ball in several ways. But that’s not the world we live in. It’s 2016 and DC Comics is mired in a funk, and they needed a plan to get out of it. 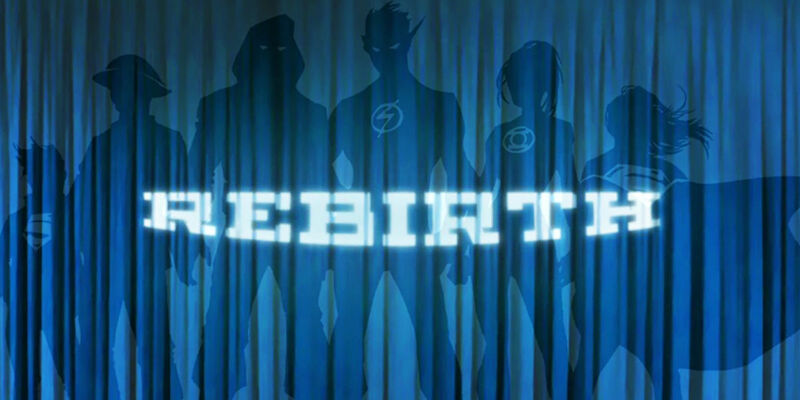 Rebirth isn’t just a plan. From my perspective, it’s a very good one. Not perfect, but good. And it’s one that shows the potential for progress while displaying a level of self-awareness they’ve long been accused of lacking, and they proved that at ComicsPro. Someone at the DC Comics presentation on Thursday shared with me that the experience quickly devolved into a Q&A. Many upset retailers wanted to have their concerns heard, and DC was up to the task. The whole team there – including co-publishers Jim Lee and Dan DiDio – abandoned the presentation from time to time, instead allowing for an Airing of Grievances out of season. That extended well past the four hour presentation as well, with Lee giving one noticeably aggrieved retailer one-on-one time for nearly an hour. That may not seem like a big deal to some, but it’s important. It shows that DC is making an effort to own the dark path they went down and that they’re looking to fix things. There’s value there. The Rebirth plan itself is littered with positives as well. In fact, when compared to the plan I presented in my look at the state of DC Comics last month, they hit nearly all the laid out steps. They’re looking to rebuild the DC universe (Johns emphasized to CBR that rebuilding a cohesive universe is paramount to their success), they’re still including fresher takes to their world like Gotham Academy: The Next Semester and Prez, they dramatically cut back the release list from 52 to 32 (at least from what we know), and, technically, they didn’t relaunch. At least not full out and not yet. While we have no idea if they’ve developing the talent pool they’re pulling from – although I’m excited about the whispers I’ve heard – that doesn’t take away from hitting four out of five. And that’s just looking at the items that matched my list. There are plenty of other plusses. $2.99 comics is a welcome reversal of current trends. Instead of dumping all of the books on retailers and readers in one month, they’re rolling them out over several months. They’re renumbering their two longest running titles, showing they have an eye to their past even as they move forward. And per Bleeding Cool, DC is even offering retailers 100% payback on any advertising efforts they put in to support the launch. Those are all good things that show real thought and effort to make this work. Here’s the biggest point, though. When I finished reading Geoff Johns’ interview about Rebirth, I was filled with something I hadn’t had in a long time when it came to DC: hope. And when I spoke to several friends who are comic fans that had soured on them as well, they had the same feeling. For the first time since the roll out of Batgirl of Burnside and Gotham Academy, I’m excited about what is happening at DC Comics. While it could prove unsatisfying like their last major undertaking, inspiring warm sentiments in lapsed readers is significant. And I’d wager my friends and I are not the only ones feeling that way. While its easy to latch onto the negative, its my belief that this plan buys them a little faith and time. And time could change a lot. Going back to the elements that elicited ire from the peanut gallery, these negatives aren’t flaws in full. At least not yet. Right now, they’re uncertainties. Variables we just don’t have solved. They could be anything. Maybe even positives. While creative teams being absent from the announcement is not ideal, for a publisher like DC, people know Superman or Batman before they know the average comic creator. Creative teams matter to comic fans, but to the average potential or lapsed reader, they wonder “what’s Wonder Woman up to,” not, “what’s David Finch up to?” I know that’s something most don’t want to consider, but it’s true. For a house like DC Comics, publishing is a character-centric activity, and with good reason. That’s not to say DC shouldn’t make every effort they can to hire quality creators. The books being good will determine their long-term success. But I hardly fault them for not being ready to announce full creative teams, and what they reveal in March could stand to be something great yet. It could be anything, really. As for double-shipping, here’s what is important to remember: we don’t know what that means yet. On its surface, yeah, it’s a bad idea to double-ship half your line and it could reduce the quality of the books. As a reader, I’d prefer it if this tactic would become a thing of the past. But just because it’s double shipping doesn’t mean they’re doing that in a traditionally serialized way. As of now, we have no idea what the structure will be. Their approach could be different than what Marvel does. We don’t really know. And for those saying how $2.99 twice a month will cost more than DC’s old $3.99 price point, that’s true. But it is worth mentioning that 40 pages is also more than before. Despite that, some will still be frustrated with them. As DC knows all too well, there is no way to please everyone. There are too many people with different ideas as to what success looks like. What DC Comics had to do was move away from the myopic decision making that got them where they did. They needed to find the best solution for themselves while considering what retailers and readers desired as well. And with Rebirth, it appears on the surface they’ve done that. In short, they didn’t let perfect be the enemy of the good. And as of now, it appears that they have a good plan together. That’s essential. It’s what they were missing, really. Before their line felt like a haphazard collection of ideas. Now it feels like there’s actual direction. The creators will come, and while I’d love to have had them to start, it’s a process and all will be revealed soon. This gets DC Comics on the right path. The only question is whether they stay on it in a meaningful way. For once, I’m excited to find out.